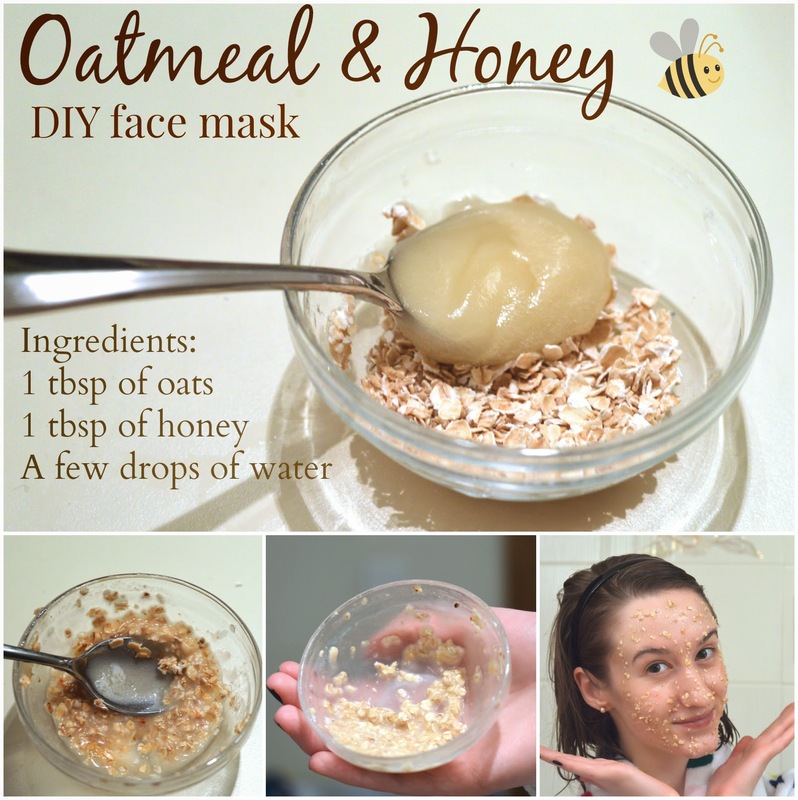 -Put oats, honey, and just a drip of water into a small bowl and start to mix. -Continue to mix the ingredients, adding just a bit more water, if necessary. You're going to want to be left with a smooth paste, not a runny mess or a sticky glue. -Then, apply the mixture onto your clean face and let it sit for 5-10 minutes. -Keep your hair off your face with a headband since this mask is quite sticky when it dries. -Remove the mask with a warm paper towel, rubbing it off in small circular motions. -Follow up with a light serum and/or moisturizer. I use regular quick oats mixed with organic honey. Any honey will do, but if you're into the whole holistic thing, I've heard some great reviews on manuka honey.. which costs about 10x more. Your choice. If you're interested in a more spa-like experience, chop up the oats into a fine powder, as opposed to using them whole. This is best done using a food processor. Another option is soaking the oats in just a bit of water for an hour or two, then draining the liquid and tossing the oats. You'll be left with a milky type substance to mix with the honey. Although you won't get the same scrubby exfoliation from the actual oats, the end result will be very similar. *Note: If you want to wash the mask off in the shower or sink sink, opt for the above two options because I can totally see a drain getting clogged by sticky oatmeal. Just saying. I recently purchased the Ceridwen's Cauldron bath melt from Lush, which is the perfect example of a mess-free oatmeal bath option. It's very easy to make something similar at home, and I'll be sure to post a DIY when I've mastered my own recipe. For now, simply place a generous handful of oats in a piece of cheesecloth, add any desired essential oils, then wrap it all up into a petit sac. Simply swish this little parcel around in the water and enjoy a super-soothing bath time. This mask is gentle on the skin and shows immediate results. I'd recommend doing this type of treatment 1-2 times per week...or even every day, since it involves no harsh chemicals. Just be sure to avoid scrubbing too aggressively when removing the oats.